Seed starting is one of those tasks that can be divisive among gardeners. Not only is there the choice of whether to start seeds or purchase seedlings, but the choices continue beyond that. Should you opt for starting seeds at home, the options for seed starting are numerous and each of them offer different benefits. While I have spent a lot of time over the years making my own seed starting pots from newspaper or filling seed starting trays, peat pellets are one of the more common options available, and with good reason. Let’s face it. If it is complicated, most gardeners aren’t going to do it more than once. The easier a product is to use, the more likely it will be used. If you have enough time to pour water into a tray, you have time to use peat pellets to start your seeds. Soaking them in water for a predetermined amount of time is all that’s required. Because unused pellets are compact, they don’t take up much space, unlike prefab seed starting pots that can be space hogs even when they’re stacked. You can reconstitute only the precise number you need and store the remainder away until you need them again. No mess, no cleanup, no wasted time. 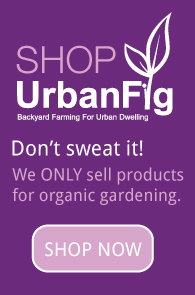 Find Jiffy Peat Pellets in the UrbanFig Shop. Peat is an unsustainable product. It takes hundreds, if not thousands, of years to produce peat moss under pressure in a sphagnum bog. It is not possible for its harvest to be replaced in our lifetimes. Please use coconut coir (pronounced core) instead. It is extremely absorbant (like peat moss), neutral (not acidic like peat), it has available nutrients (unlike peat), and coconut shells are easily replaced the next year. 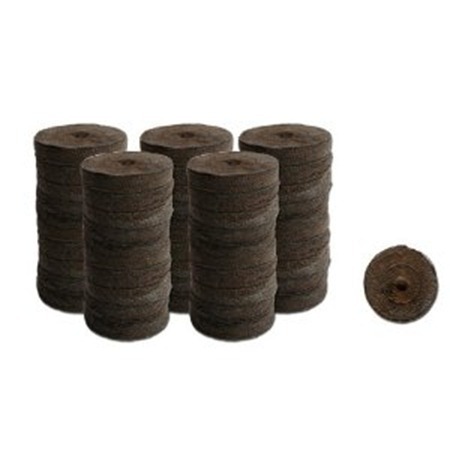 You can find coir matting, coir bales, and coir pots. Break the peat habit, please. We really appreciate your feedback. I will definitely research more about peat and will look into other products that we can carry as an alternative. I use CowPots, rather than peat pots — they are made of composted cow manure, and as they decompose in the garden they feed the young seedlings.